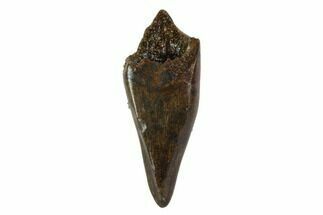 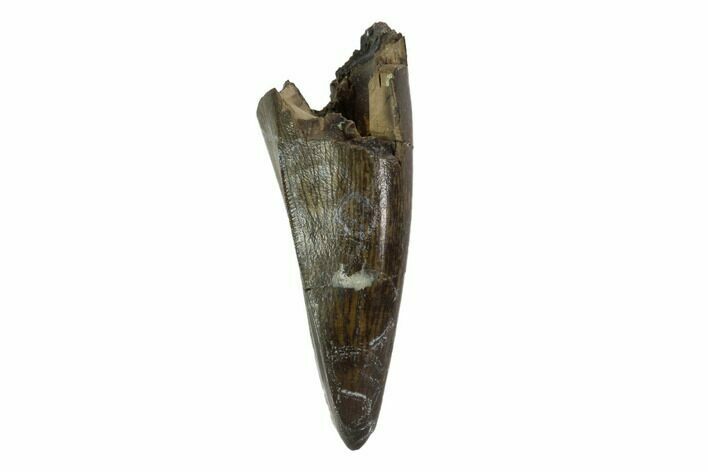 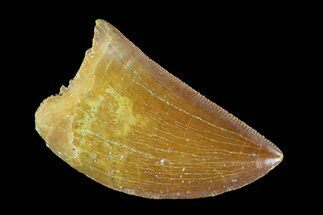 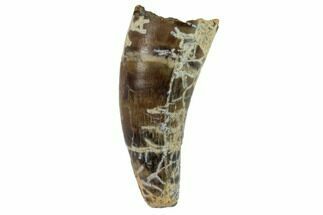 This is a large, 1.42" long Tyrannosaur tooth likely of the species Nanotyrannus lancensis from the Hell Creek Formation of Montana. 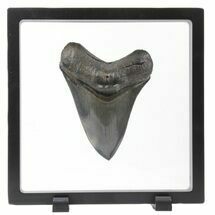 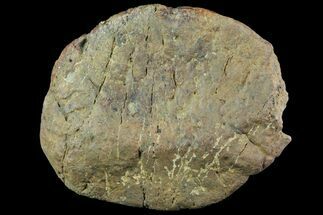 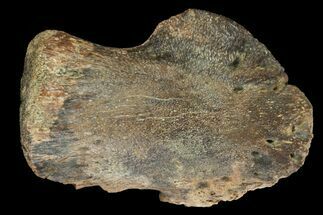 The enamel of this tooth preserved nicely, however there are multiple repaired cracks. 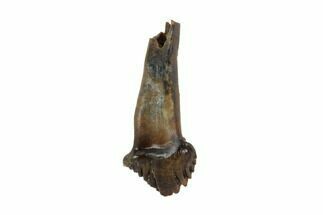 The distal most crack is about 3/5 the way down the tooth and contains gap fill as restoration. 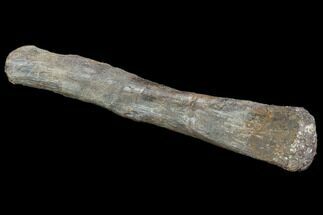 The second repaired crack is proximal the root. 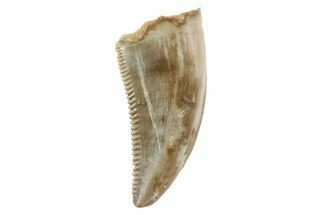 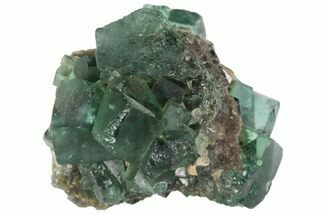 There is major feeding wear to the tip and one edge, though the serrations remained in decent condition.